I apologize for using a sensationalized headline. But there’s lots of truth to it. In case you haven’t heard, a recall of romaine lettuce has been issued by both the Centers for Disease Control (CDC) and the Food and Drug Administration (FDA), following an outbreak of E. Coli poisoning in 11 States and Canada, where combined, as I write this, 50 people have been poisoned. 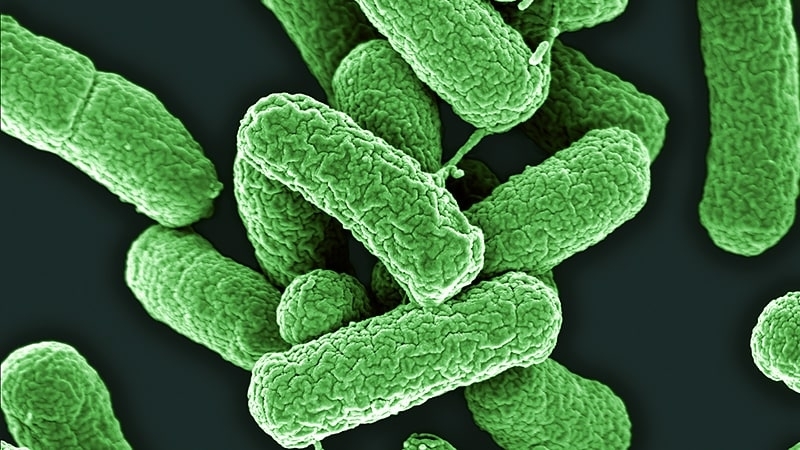 Although no deaths have been reported with this most recent outbreak, this past spring, there were five deaths attributed to the worst E. Coli poisoning outbreak in a decade. The latest E. Coli poisoning has seen 13 people hospitalized during the month of October, including one who developed kidney failure. Officials still aren’t exactly sure from where the outbreak emanated. Both the CDC and FDA are advising consumers not to eat any romaine lettuce because the source of the outbreak has yet to be identified. So if you’re eating out and Caesar salad is your fav, order the mixed greens instead. 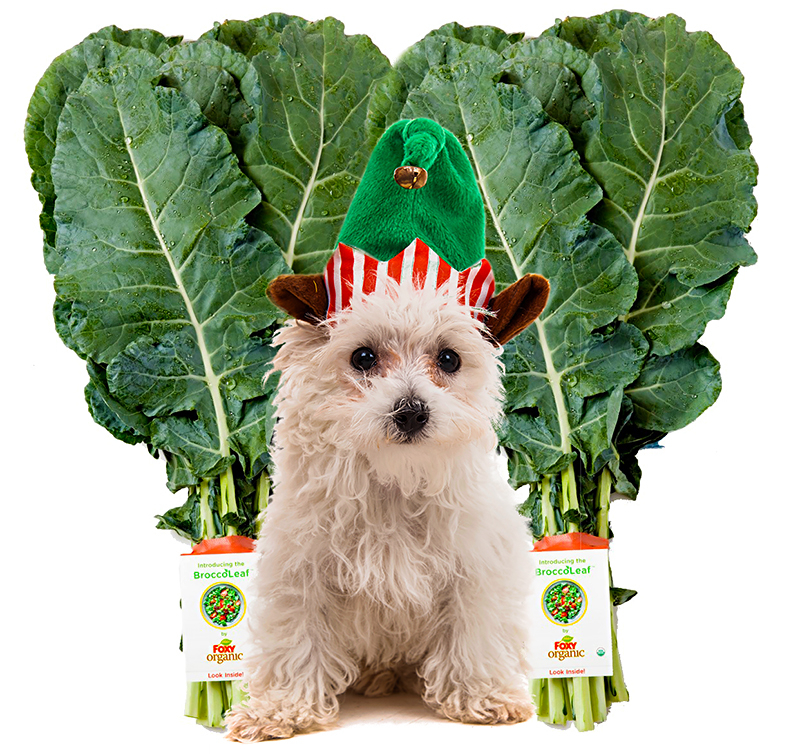 Almost every week on my blog, I extol the virtues of green leafy veggies. And more than that, I’ve built a small business empire delivering organic Green Drinks that contain 7 certified-organic green leafy veggies. Thankfully, romaine isn’t one of them. Otherwise, the $&! * would be hitting the fan right now, haha! But years ago, I made the decision not to include romaine in my ingredients for Green Drink, for two primary reasons. First, although romaine has some nutritional value, it’s at the low end of the totem pole in comparison to other leafy greens. Chard, one of the 7 leafy greens in Green Drink contains more calcium, iron, magnesium, potassium, manganese, selenium, phosphorous and zinc than romaine lettuce. But the biggest reason I’ll never add romaine to my Green Drink is it’s far more susceptible to E. coli contamination than other leafy greens. A big reason for this is how it’s grown. Romaine is mostly grown in Arizona and California, where irrigation water used on romaine fields can become tainted with bacteria from cows. But it’s not like romaine is the only green leafy crop grown in California. Spinach and kale are as well, the latter of which is also in Green Drink. 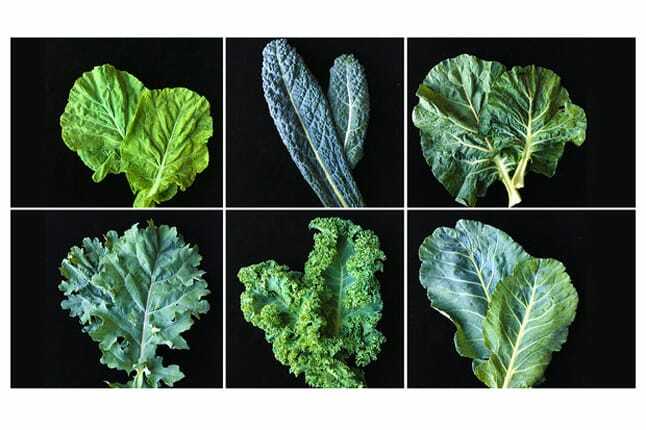 However, kale leaves are tougher and heartier and more resilient against E. Coli. If you love Caesar salads and substituting romaine for another lettuce is like a carnivore’s worst nightmare of having to eat pea-protein burgers instead of beef, just be patient. In time, the recall will be over. Kale, collard greens, chard, dandelion greens, and parsley are all featured in my Green Drink. 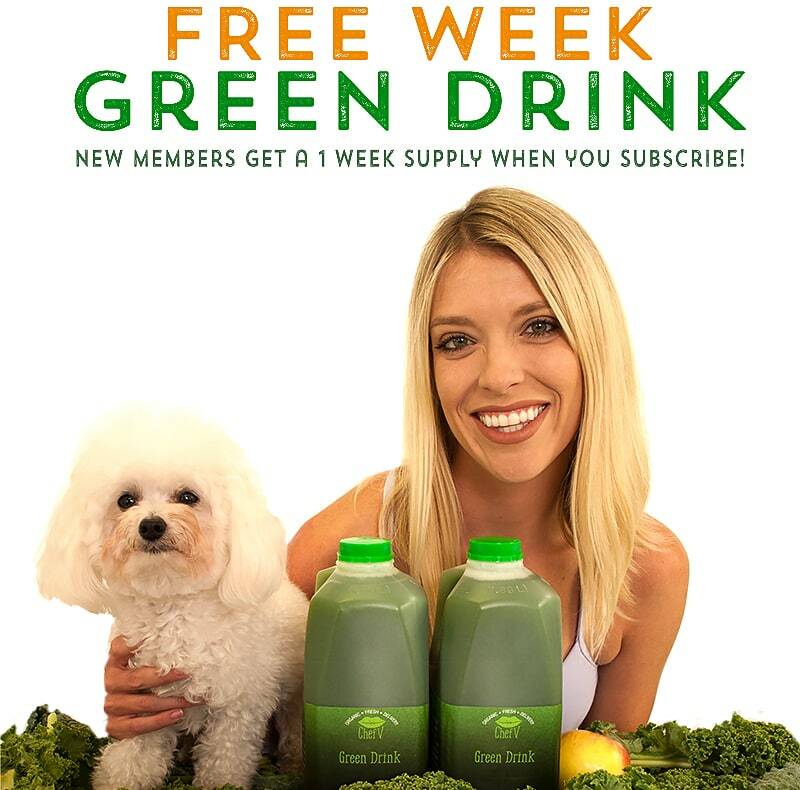 The easiest way to get the benefits of these super greens without having to shop, chop and clean up is to drink 16 0z. of Green Drink a day. If you want to be super healthy, you can start your day off by drinking my Green Drink and then for lunch and/or dinner, have a salad with some of these leafy greens. Moreover, when you buy packaged produce from the store, do you really feel a connection to the food? Isn’t it a better feeling to buy produce from a farmer’s market? I know it is for me. And for every single bottle of Green Drink my business sells (tens of thousands every year), all the green leafy veggies are grown on small local farms; we never use bagged produce. Yes, I know farmer’s market produce is more expensive, but consider cutting out other things in your budget you don’t really need. Besides, isn’t the fresh taste worth the extra price? It is to me. So if you’re just reading about this romaine recall for the first time and you’re nervous because you have some romaine in your refrigerator, don’t worry. Just follow this advice: place it in a bag, seal the bag, and throw it in the garbage. 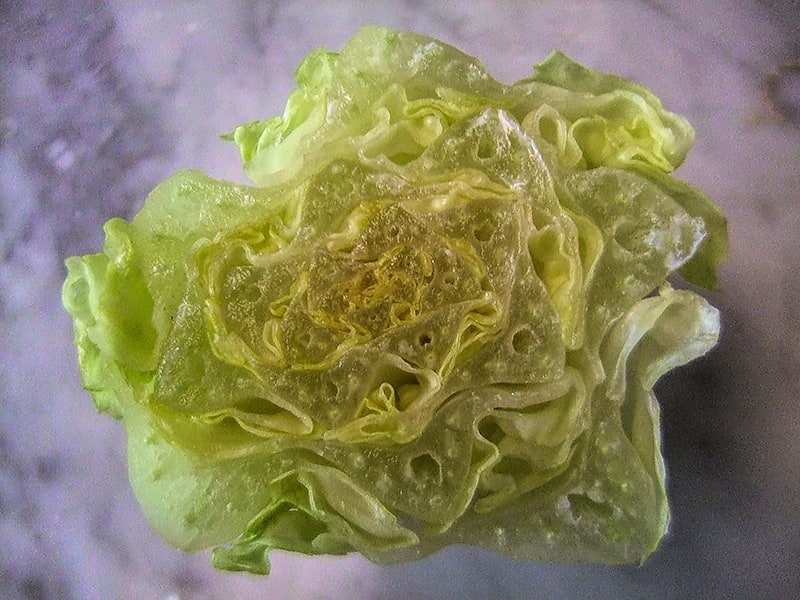 Make sure you then wash the area in the fridge where the romaine was sitting with some all-natural cleaner and warm soapy water. According to the CDC, if you want to be extra diligent, sanitize your entire fridge with a solution of 1 tablespoon of liquid bleach in 1 gallon of water after washing with the warm soapy water. 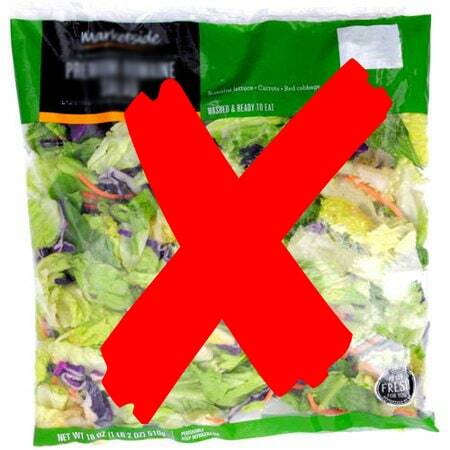 I’ve added a couple romaine-free salad recipes for you below. Check them out…. 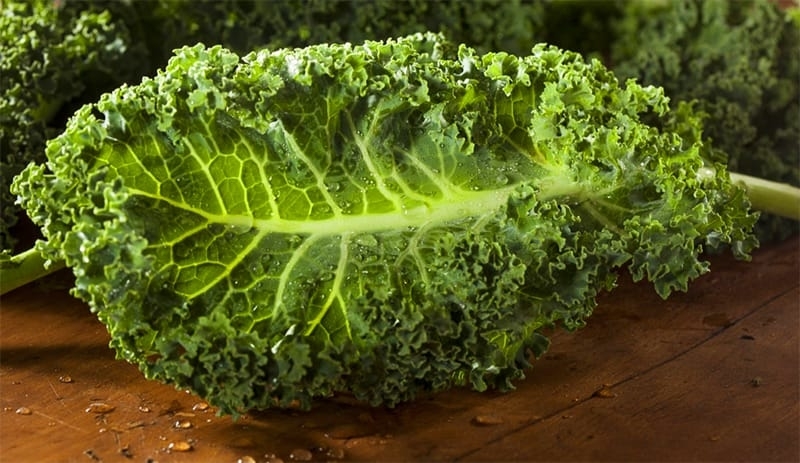 One thing I like to do with kale is to squeeze fresh lemon juice on it and let it sit a few minutes. The acid in the juice helps to soften and wilt the greens, making them a little tastier. Raw pine nuts, or use your fav! Squeeze the lemon juice onto the chopped kale and let it sit a few minutes. Then mash the avocado into the greens. 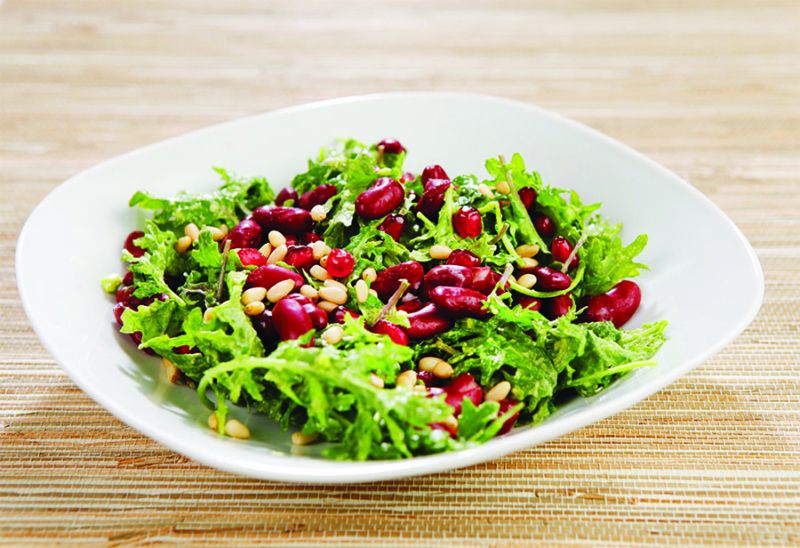 Sprinkle with pomegranate seeds, kidney beans, and your favorite nuts, and serve. In a bowl, toss the olive oil and vinegar with the greens. 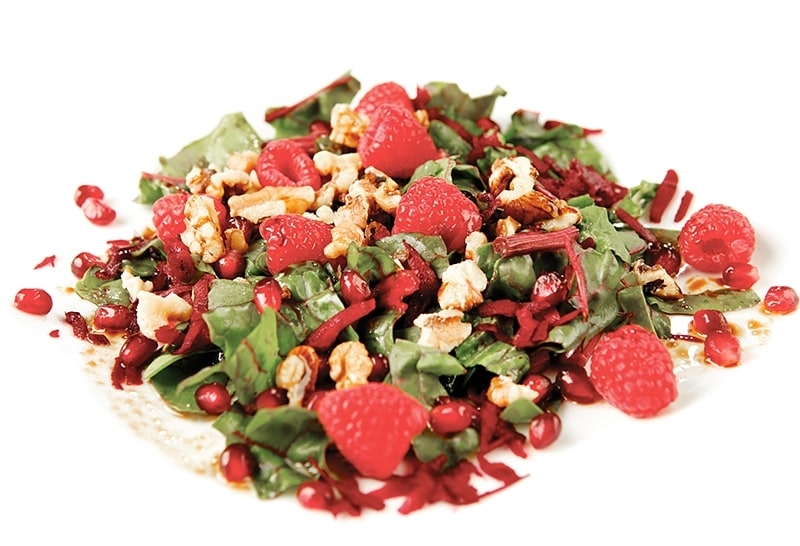 Plate and top with beets, raspberries, pomegranate seeds, and chopped walnuts. Pomegranate seeds are so yummy. They are sweet and tart and add a delicious crunch to any dish. They have lots of fiber and Vitamins C and K. Sprinkle them on your favorite salads and soups, or toss them into your next smoothie. If you like these two salad recipes, there’s lots more of them in my cookbook, Making Cleansing Easier. 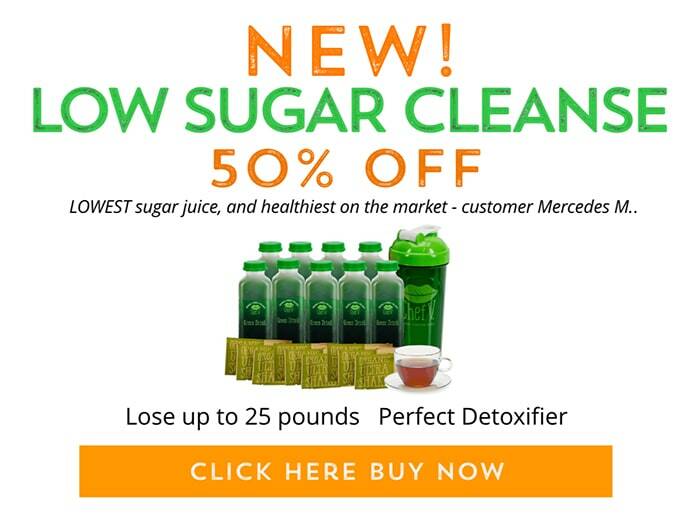 Customers of my 21 day detox, receive a free PDF download of the book.